Lowell H. Young, 93, of 630 N. Maple St., Emporium, PA died at Penn Highlands Elk, St. Marys, PA on Friday (May 20, 2016) morning following a shopping trip to Olivett’s Market. He was born December 5, 1922 in Russell, PA a son of the late David and Minnie Carlson Young. Mr. Young was North Maple St. oldest resident, both in Longevity and years of residency, passed away on May 20, 2016. Lowell graduated from Russell High School class of 1940 and from Hoff Business College in 1942. Prior to induction into the army he was employed by Struthers Wells Corporation in Titusville. After his discharge from the US Army he moved to Emporium where he met Grace Reinard, the love of his life, who he married May 16, 1953 in the First Baptist Church. He retired in 1982 after nearly 38 years of employment with Sylvania. Being musically inclined he sang tenor in the Emporium Methodist choir for over 60 years and at one time he was active in the St. Mary's chapter of the SPEBSQSA (barbershop quartet) He delivered meals on wheels for many years and was an avid writer having written his memoir while he was in his eighties. Lowell had a wonderful sence of humor. Lyle O. Lyon, 94, formerly of Poplar Street, Emporium, died Sunday, May 15, 2016, in Pinecrest Manor, St. Marys. Born October 3, 1921 in Emporium, he was the son of the late R. Paul and Susie Skillman Lyon. On June 15, 1946 in Emporium, he married the former Ellen Nickler who survives. A lifelong resident of Cameron County, Lyle was a 1942 graduate of Emporium High School and was a veteran of WWII having served in the Army Air Corps. He was employed by Sylvania Electric in Emporium and the Emporium Water Company before joining the Emporium Police Department where he became the Chief of Police. Later he was employed for many years as foreman of Emporium Borough’s Public Works Department before retiring in 1986. Mr. Lyon was a member of the First United Methodist Church in Emporium where he served as a trustee, Masonic Lodge #382 F& AM in Emporium, and was a 63 year member of the Emporium Fire Department. Survivors include: three sons, Paul A. (Susan) Lyon of Emporium, Rev. Ray E. (Kathy) Lyon of North Huntingdon, and David A. (Mollie) Lyon of Hermitage; one daughter, Margie (Larry) Kelly of Allentown; one sister, Twila Grimm of Emporium; twelve grandchildren; thirteen great grandchildren; and several nieces and nephews. In addition to his parents, he was predeceased by two infant brothers, Alvin and Merle Lyon, and two adult brothers, Leon and Clark Lyon. A visitation with video tribute will be held Thursday, May 19, 2016 from 5-8 p.m. in the Coppersmith-Condon Funeral Home, Emporium. The family will also receive friends Friday from 10-11 a.m. in the First United Methodist Church where Funeral Services will follow at 11 a.m. with Rev. Joseph Short, pastor, officiating. Military honors will be accorded by the Cameron County Memorial Detail. Burial will be in Moore Hill Cemetery, Emporium. Memorials, if desired, may be made to The Alzheimer Association, 1100 Liberty Avenue, Suite E-201, Pittsburgh, PA 15222 or online at www.alz.org. Virginia Rose Downey, 91, passed away May 10, 2016. She was born in Williamsport, PA, and helped raise her brothers. She has resided in Cuyahoga Falls for over 55 years. She had worked as a machine operator at Karg Machine, various restaurants, and as a babysitter. She loved to dance to big band music and loved her family and cat Asia. Preceded in death by her parents, Daniel and Mable Downey, children, Thomas Rinker, Roseanne Puskar, and Theodore Haynes; and father of her children, Eugene Haynes. She is survived by her daughter, Sandy Kotula of PA and Jackie Knarr of Akron; grandchildren, Nikki, Angie, Tammy, Paula, Trish, Ted, Bobbie, Brittian and Allan and many great and great-great grandchildren; brother, John (Bud) Downey; and her extended family, Frank, Claire, Angie and Allie Copeland . A Memorial Service will be held at Barnett Funeral Home, 207 E 4th St. Emporium, PA on Saturday, July 30, 2016 at 10:00 AMwith Rev. Mark Conklin officiating. Burial will be in Newton Cemetery. Hazel I. Taylor, 93, of Pinecrest Manor, St. Marys, PA formerly of Gardeau Rd., Austin, PA died at Pinecrest Manor, St. Marys, PA on Monday (May 9, 2016) evening. 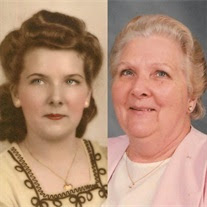 She was born February 18, 1923 in Johnsonburg, PA a daughter of the late John and Alma Yonkie Frederick. She married the late Herman G. Taylor. Mrs. Taylor retired from Sylvania where she worked for many years. She was a member of Keating Summit United Methodist Church and the Odin Grange. Three sisters, Kathryn (Robert) Kline, Kersey; Grace (Millard) Williams, Emporium; and Marjorie (Jack) Rhines, Florida. Visitation will be at the Barnett Funeral Home, 207 E. 4th St., Emporium , PA on Friday from 11:00 AM - 1:00 PM followed by a Funeral Service at 1:00 PM with Rev. Steven Small, Pastor, Keating Summit United Methodist Church, officiating. FUNERAL HOME, Inc. entrusted with arrangements. Paul D. Plant, 60, of 305 E. Third Street, Emporium, PA died at Guy & Mary Felt Manor, Emporium, PA on Wednesday (May 4, 2016) morning. He was born November 15, 1955 in Penfield, PA a son of the late Rev. John and Elner Henderson Plant. He married Leslie Fragale Plant, who survives. Paul worked as a machinist at several factories throughout the area and was also a self employed machinist. Paul loved his 5 cats. Surviving in addition to his wife Leslie Fragale Plant are a Daughter, Tiffany Plant, Kenmore, NY; four Brothers, Dennis Plant, Mifflintown; Don Plant, Greeley, CO; Max Plant, Georgia and Several nieces and nephews. At his request there will be No Service. There will be No Visitation.